A career at ICBC is an opportunity to be part of a talented, diverse and inclusive team that is driven to serve its customers and community. Make the most of your skills and take the opportunity to grow and develop your career. You can expect a competitive salary, comprehensive benefits and a challenging work environment. Drive your career with us. ICBC is committed to being an inclusive employer, one that reflects the diversity of the people and communities of British Columbia. 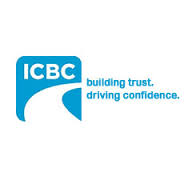 Paralegal (VIctoria) Job Title: Paralegal Reference Number: 112222 Location: Victoria Employment Type: Permanent Full Time Hours of Work: 7.5 hr Day Shift (M-F) Posted Date: 2019/03/21 Position Highlights ICBC has an opportunity for a personal injury Paralegal at our office in Victoria. You will assist lawyers in the preparation, development and handling of personal injury defense files for litigation. Drafting Chambers applications, pleadings including Responses to Civil Claim, List of Documents and Bills of Costs. Reviewing files, identifying legal issues and preparing Chronologies and Mediation Summaries. Interviewing witnesses and preparing statements. Assisting counsel in preparing for examinations for discovery and Trials, including obtaining relevant information/documentation and coordinating with support staff and resources as instructed. Conducting legal research and preparing memoranda as instructed. Providing paralegal support to an assigned group of 2 to 3 lawyers. Position Requirements Paralegal Certificate, Juris Doctor or Diploma from an accredited educational institution; 2+ years' experience in a litigation environment; personal injury experience is ideal; Knowledge of the Supreme Court Civil Rules, relevant Acts and Regulations; Strong written and verbal communication skills and ability to adapt your communication style to your audience; The ability to be motivated by high volume, a fast paced environment with tight deadlines. The recruitment process will include: Qualifying Grammar and Reading Online Tests Behavioral interview Legal Knowledge testing Thank you to all applicants, only qualified candidates will be contacted. Legal Counsel Legal Counsel Level 3 Under the Public Service Labour Relations Act, this position is excluded from union membership. An eligibility list may be established. Become an integral part of B.C. 's Justice System in this senior role On behalf of the Attorney General, lawyers in the Legal Services Branch discharge the duties and functions assigned to the Attorney General under the Attorney General Act. As Civil Litigation Legal Counsel, you provide advice and appear, where necessary, in court and before administrative tribunals representing the Crown and are expected to negotiate and recommend settlements where appropriate. Your work involves matters of a confidential and sensitive nature and you have a broad range of professional skills that enable you to give advice at any time in an area of law outside the dimensions of your assigned legal responsibilities. The successful candidate will have the following skills and abilities: excellent verbal and written communication skills; strong analytical abilities and research skills; strong organizational skills and the ability to manage competing priorities; strong interpersonal skills and a collaborative approach to their work; ability to mentor more junior colleagues; and ability to work independently or as part of a team. The capital of British Columbia, Victoria is a beautiful city, with beautiful beaches and harbours, and a variety of provincial parks to explore. Located on Vancouver Island, Victoria offers a bustling downtown scene and has a wide range of restaurants and entertainment venues to choose from. The BC Public Service is committed to creating a diverse workplace to represent the population we serve and to better meet the needs of our citizens. Consider joining our team and being part of an innovative, inclusive and rewarding workplace. For complete details about this opportunity, including accountabilities, please refer to the attached job profile. For specific position related enquiries, please contact aglsbcivlitsupervisor@gov.bc.ca. DO NOT SEND YOUR APPLICATION TO THIS EMAIL ADDRESS . For more information about how to create or update your profile and how to submit your application, please refer to the Job Application page on the MyHR website. If you are still experiencing technical difficulty applying for a competition, please send an e-mail to BCPSA.Hiring.Centre@gov.bc.ca before the stated closing time , and we will respond as soon as possible to assist you. NOTE: Applications will be accepted until 11:00 pm Pacific Time on the closing date of the competition. Job Requirements: In order to be considered for this position, your application must clearly demonstrate how you meet the education and experience as outlined below: Must be a member in good standing or eligible to become a member in the Law Society of British Columbia. 12 or more years of call. Experience in the conduct of civil litigation at the Supreme Court of British Columbia and the British Columbia Court of Appeal Preference may be given to applicants with very strong academic records, clerkships and relevant publications Proviso: Travel is a requirement for this position. Applicants selected to move forward in the hiring process may be assessed on the Knowledge, Skills, Abilities and Competencies as outlined in the attached Job Profile located in the Additional Information section at the bottom of the posting. A Criminal Records Check is required. APPLICATION REQUIREMENTS: Cover Letter: YES - A cover letter is required as part of your application. Please indicate your Year of Call in your cover letter. The content and/or format of your cover letter may be evaluated as part of the assessment process. Resume: YES - Ensure your resume includes your educational accomplishments, employment history including start and end dates (month and year) of your employment, and any relevant information that relates to the job to which you are applying. Please provide a list of reported decisions in which you appeared as counsel (along with citations for each of the decisions). A recent writing sample (ideally a factum or written argument submitted to a court or tribunal) may be requested during screening. Paralegal Paralegal R18 + 10% This position is excluded from union membership. An eligibility list may be established. Become an integral part of B.C. 's legal service Applications are invited for a full-time permanent working level Paralegal position with the Health and Social Services (HSS) Group, providing assistance to three lawyers working with the Ministry of Children and Family Development (MCFD). The successful candidate will also work closely with other program areas, particularly including Business Operations Division, coordinating appointment of ad hoc counsel for the Director of Child Welfare. Duties under the role include: the review of Provincial and Supreme court applications in Family Law Act and other civil litigation proceedings, for the disclosure of MCFD records; acknowledging service and corresponding with counsel regarding service requirements, under the Crown Proceeding Act or terms of orders for disclosure; ensuring inclusion of necessary legal terms and conditions in draft orders; arranging for the appointment of ad hoc counsel to handle the applications and redact the MCFD records; receiving and reviewing a variety of requests from MCFD staff and Director’s counsel for appointment of counsel for children in care in matters under the Youth Justice Act (YJA), Child, Family and Community Service Act (CFCSA), Family Law Act (FLA) or for immigration issues, ensuring all necessary information is provided and brought to the attention of the solicitor for approval; reviewing requests for appointment of ad hoc counsel for the Director for CFCSA cases, FLA cases or Supreme Court matters, including appeals, consulting with solicitors and processing the appointment of counsel upon direction of solicitors; and providing general paralegal support to lawyers in the HSS group, and particularly to the solicitors in the MCFD sub group. The capital of British Columbia, Victoria is a beautiful city, with beautiful beaches and harbours, and a variety of provincial parks to explore. Located on Vancouver Island, Victoria offers a bustling downtown scene and has a wide range of restaurants and entertainment venues to choose from. This is your opportunity to live in one of the most beautiful regions in British Columbia and work for the BC Public Service. We offer a healthy work/life balance, excellent benefits and much more. The BC Public Service is committed to creating a diverse workplace to represent the population we serve and to better meet the needs of our citizens. Consider joining our team and being part of an innovative, inclusive and rewarding workplace. For complete details about this opportunity, including accountabilities, please refer to the attached job profile. For specific position related enquiries, please contact Nancy.Young@gov.bc.ca. DO NOT SEND YOUR APPLICATION TO THIS EMAIL ADDRESS . For more information about how to complete your job application, add/edit your resume and for more useful tips when applying for jobs, please refer to the Your Job Application page on the MyHR website. If you are still experiencing technical difficulty applying for a competition, please send an e-mail to BCPSA.Hiring.Centre@gov.bc.ca Job Requirements: In order to be considered for this position, your application must clearly demonstrate how you meet the education and experience as outlined below: Secondary school graduation and completion of a recognized Paralegal Certificate or equivalent. Four years' of experience working in a legal office environment Preference may be given to applicants with experience working in a criminal justice setting Preference may be given to applicants who have five years' of experience working in a legal office environment. Applicants selected to move forward in the hiring process may be assessed on the Knowledge, Skills, Abilities and Competencies as outlined in the attached Job Profile located in the Additional Information section at the bottom of the posting. A Criminal Record Check (CRC) will be required. APPLICATION REQUIREMENTS: Cover letter required: YES - A cover letter is required as part of your application. The content and/or format of your cover letter may be evaluated as part of the assessment process. Resume required: YES - Ensure your resume includes your educational accomplishments, employment history including start and end dates (month and year) of your employment, and any relevant information that relates to the job to which you are applying. Questionnaire: YES (COMPREHENSIVE) - As part of the application process, you will be prompted to complete a comprehensive online questionnaire to demonstrate how you meet the job requirements. Please allot approximately 60 minutes to complete the questionnaire. Job Summary Junior Legal Secretary CLERK Stenographer 9 1 Position available Position available in Victoria This position is Full Time Contribute to the administration of justice in a diverse legal environment Under the supervision of the Legal Office Manager, this position provides administrative assistance to the Paralegals and Legal Counsel in the Victoria and Vancouver offices. Legal Services Branch provides legal advice and services to fulfill the Attorney General’s role as official legal advisor to government. The Branch is responsible for performing a central agency role to ensure the administration of public affairs is in accordance with the law; prepares and advises on new legislation and regulations; advises ministries on all matters of law and coordinates conduct of all litigation for or against the Crown or any ministry. Legal Services Branch also operates the Ministry Library that maintains the central law collection and a province wide legal reference service for government. The Branch functions within an organizational model that allows lawyers to practice law. Branch management responsibilities, including administration, finance, information technology, ad-hoc counsel contract management, communications and the library are concentrated in the Management and Administrative Services Division. Lawyers who serve similar clients or practice in similar areas of law work together in organizational clusters that are free from administrative responsibilities. The Branch uses a private enterprise service delivery model under which new or enhanced legal services are provided to client ministries on a base budget recovery basis. Within the Legal Services Branch, the lawyers of the Barristers Division represent government in all levels of court, before tribunals and at inquests. They also provide both written and oral legal advice on government operations, legislation and potential lawsuits. The Civil Litigation Group is divided between Victoria and Vancouver. The BC Public Service is an award winning employer and offers employees competitive benefits, amazing learning opportunities and a chance to engage in rewarding work with exciting career development opportunities. For more information, please see What We Offer. This is your opportunity to live in one of the most beautiful regions in British Columbia and work for the BC Public Service. We offer a healthy work/life balance, excellent benefits and much more. With over 200 different occupations available in 280 communities across the province, we offer exciting opportunities for your career. Come be a part of the BC Public Service, a Top 100 Employer that embraces diversity, health and career growth. For more information, please see What We Offer For complete details about this opportunity, including accountabilities, please refer to the attached job profile. For specific position related enquiries, please contact sonia.mckinnon@gov.bc.ca . D O NOT SEND YOUR APPLICATION TO THIS EMAIL ADDRESS. For more information about how to create or update your profile and how to submit your application, please refer to the Job Application page on the MyHR website. NOTE: Applications will be accepted until 11:00 pm Pacific Standard Time on the closing date of the competition. Job Requirements: In order to be considered for this position, your application must clearly demonstrate how you meet the education and experience as outlined below: Must have some post-secondary school education or higher in a related field (law, legal services, administration, etc.) Preference may be given to applicants with a certificate, diploma or higher in a related field, (law, legal services, administration, ect.) Three (3) or more years of experience working in an office environment. Preference may be given to candidates with experience working in a legal office environment. Applicants selected to move forward in the hiring process may be assessed on the Knowledge, Skills, Abilities and Competencies as outlined in the attached Job Profile located in the Additional Information section at the bottom of the posting. A Criminal Record Check (CRC) will be required. APPLICATION REQUIREMENTS Cover Letter: YES - A cover letter is required as part of your application. The content and/or format of your cover letter may be evaluated as part of the assessment process. Resume: YES - Ensure your resume includes your educational accomplishments, employment history including start and end dates (month and year) of your employment, and any relevant information that relates to the job to which you are applying. A resume is required as part of your application, however, it may not be used for initial shortlisting purposes. Questionnaire - YES (COMPREHENSIVE) As part of the application process you will be prompted to complete a comprehensive online questionnaire to demonstrate how you meet the job requirements. Please allot approximately 60 minutes to complete the questionnaire. IMPORTANT: Comprehensive Questionnaire responses will be used to shortlist applicants against the job requirements. Please ensure you include all relevant information about your educational accomplishments and employment history including job titles, start and end dates (month and year) of your employment, and your accountabilities and accomplishments. Legal Counsel Legal Counsel Level 1 or Legal Counsel Level 2 This is a one-year temporary/auxiliary appointment. Under the Public Service Labour Relations Act, this position is excluded from Union membership. An eligibility list may be established for future temporary vacancies arising in the Victoria office. Build your Future Law Career Here! The Indigenous Legal Relations, Barrister Unit, Legal Services Branch, Ministry of Attorney General, is recruiting a barrister for a one-year auxiliary appointment. Indigenous legal issues can affect almost all aspects of Crown conduct, and British Columbia is at the forefront of these issues in terms of Court decisions, policy development and the reconciliation of Indigenous and Crown titles and jurisdiction. Aboriginal law in Canada has developed at a considerable pace since the enactment of the Constitution Act, 1982 and its inclusion of section 35, which constitutionally recognizes and affirms the existing Aboriginal and treaty rights of the Indigenous peoples of Canada. For more than 20 years within the Legal Services Branch, there has been a dedicated group of lawyers providing clients with trusted, thoughtful advice and representation in this highly specialized and critical legal area. This is a great opportunity to be part of an exciting legal team dealing with challenging and cutting edge issues in this rapidly evolving area of law. The successful applicant will be expected to work both independently and as a member of litigation teams conducting Aboriginal rights and title trials, judicial reviews, tribunal hearings, and appeals at all Court levels. You will be responsible for appearing (independently or as co-counsel) on behalf of the Provincial government or statutory decision-makers at all levels of Court and before administrative tribunals on Aboriginal law issues. You will also be expected to conduct legal research, draft pleadings and applications, legal arguments and factums. You will be expected to develop an expertise in Aboriginal law, to keep current and identify trends in the law and innovative responses to new and evolving claims against the Crown. Briefing or reporting to clients on file developments will be required. A background in Aboriginal law and knowledge of constitutional and/or administrative law, as well as experience in complex litigation are preferred qualifications. You will have strong written and verbal communication skills, strong organization skills and have the ability to work both independently and as part of a litigation team. With over 200 different occupations available in 280 communities across the Province, we offer exciting opportunities for your career. Come be a part of the BC Public Service, a Top 100 Employer that embraces diversity, health and career growth. For more information, please see What We Offer The BC Public Service is committed to creating a diverse workplace to represent the population we serve and to better meet the needs of our citizens. Consider joining our team and being part of an innovative, inclusive and rewarding workplace. For complete details about this opportunity, including accountabilities, please refer to the attached job profile/description. For specific position related enquiries, please contact Paul.Yearwood@gov.bc.ca DO NOT SEND YOUR APPLICATION TO THIS EMAIL ADDRESS. For more information about how to complete your job application, add/edit your resume and for more useful tips when applying for jobs, please refer to the Your Job Application page on the MyHR website. NOTE: Applications will be accepted until 11:00 pm Pacific Standard Time on the closing date of the competition. In order to be considered for this position, your application must clearly demonstrate how you meet the education and experience as outlined below: Must be a member of the Law Society of British Columbia in good standing OR immediately eligible for call to the Bar. Level dependent on years of call ( up to five years of call for Legal Counsel 1, six to eleven years of call for Legal Counsel 2 ) Preference may be given to applicants with the following: Previous experience with government litigation; Very strong academic records, clerkships and relevant publications are assets. IMPORTANT: Where there is a difference between the qualifications reflected in the posting and the job profile/description, those stated on the job posting will be used for shortlisting Applicants selected to move forward in the hiring process may be assessed on the Knowledge, Skills, Abilities and Competencies as outlined in the attached job profile/description including those reflected below: Knowledge of government policy and operations is an asset; Current knowledge of Canadian law in relation to Aboriginal rights and title issues, as well as current knowledge of constitutional and/or administrative law is an asset; Strong oral and written communication skills; and Demonstrated ability to work collaboratively. The duties of this position meet the requirements of a Criminal Record Check; this check must be completed with a satisfactory outcome at time of offer. APPLICATION REQUIREMENTS: Cover Letter: YES - A cover letter is required as part of your application. Please indicate your year of call in your cover letter. The content and/or format of your cover letter may be evaluated as part of the assessment process. Resume: YES - Ensure your résumé provides detailed information about your education and employment history as it relates to the required job qualifications. Your résumé must include the month and year(s) for each job in your employment history, as well as the job related responsibilities. If you do not clearly identify how you meet the education and experience requirements for the position, your application will not be considered. Questionnaire: YES - As part of the application process, you will be prompted to complete an online questionnaire to demonstrate how you meet the job requirements. Your resume, submitted through your online profile, may be used to support the information you provide in your questionnaire. Stewart McDannold Stuart is a busy law firm of 9 lawyers located in Victoria, BC. Our firm is committed to providing a full range of exceptional legal services to local government. We are seeking a highly motivated lawyer, ideally with a background in commercial agreements and real estate, interested in joining our solicitor's group. A background in local government law and some familiarity with freedom of information and privacy legislation would be assets, but it is not required. This is an exciting opportunity for the right individual to build their career with our existing and expanding local government law practice, while acting in the public interest to empower and assist BC communities. Please visit our website at www.sms.bc.ca for more information about our firm. Contact: To apply for this position, please submit your cover letter and resume to Kathryn Stuart. Administrative Officer R14 Salary $46,106.58 - $52,227.13 annually This position is excluded from union membership. An eligibility list may be established. Bring your strong administrative experience and superior organizational skills to this challenging position The Legal Office Manager coordinates office administration functions for a law group at Legal Services Branch (LSB), including human resources, leave management and records management. The Legal Office Manager provides legal support services to Supervising Counsel and lawyers and leads the legal assistant team that supports a law group at LSB. The Legal Office Managers serve as the critical link between Branch Management, ADAG’s office and the staff in their respective law groups. Work is carried out in a high profile and fast-paced office where client relations, tact and organization are essential for the smooth operation of the office. The Legal Office Manager carries out the duties and responsibilities with minimum supervision, maintaining confidentiality and using discretion when addressing sensitive issues. The Legal Office Manager must be comfortable acting independently while managing multiple projects and emerging priorities. The position provides leadership, advice, direction and coordination of the legal assistant team; provides executive-level support to Supervising Counsel; delivers administrative and operational services; plans and manages related human resources; has direct supervision of the legal assistant team; and provides advice to internal stakeholders regarding, and ensures compliance with (a) Branch, Ministry and government programs, policies, procedures and guidelines, (b) legislation and agreements pertinent to LSB’s mandate and operations (e.g., Attorney General Act, the Crown Counsel Agreement, the Terms and Conditions for Excluded Employees, and the BCGEU Master Agreement), and (c) requirements of the BC legal profession’s governing body, the Law Society of British Columbia. This position supports LSB’s mandate under the Attorney General Act in relation to all civil law matters. The Attorney General’s mandate includes being the legal advisor to government, the Lieutenant Governor in Council and Cabinet, ensuring that government’s actions are in accordance with the law, and having the regulation and conduct of all litigation for or against the government or a ministry. For complete details about this opportunity, including accountabilities, please refer to the attached job profile. For specific position related enquiries, please contact Sandra.Benson@gov.bc.ca . DO NOT SEND YOUR APPLICATION TO THIS EMAIL ADDRESS. If you experience technical difficulties submitting your online profile, or for more information about how to create or update your profile, please refer to the “HOW TO APPLY” section below. NOTE: Applications will be accepted until 11:59 pm Pacific Time on the closing date of the competition. Qualifications: In order to be considered for this position, your application must clearly demonstrate how you meet the education and experience as outlined below: Secondary school graduation, plus a Legal Assistant certificate from a recognized institution. An equivalent combination of education, training and experience in a legal environment may be considered. A minimum of four years of experience in a legal office environment. Experience with electronic records management systems. Preference may be given to the following: Four to five years of management or supervisory experience, including the delivery of a wide array of human resources services, recruitment, performance management, leave management, change management, training and records management. Direct experience in managing legal assistant support services, coordinating overall workflow and developing options to ensure delivery of work product in a demanding office environment with shifting priorities. Considerable experience working as a Legal Assistant or equivalent. Applicants selected to move forward in the hiring process may be assessed on the Knowledge, Skills, Abilities and Competencies as outlined in the attached Job Profile. A Criminal Record Check (CRC) will be required. APPLICATION REQUIREMENTS: Cover letter required: YES - A cover letter is required as part of your application. The content and/or format of your cover letter may be evaluated as part of the assessment process. Resume required: YES - Prior to submitting your application for this opportunity, update your resume profile by using the copy and paste function to add your resume. Your resume must provide detailed information about your education and experience including the job related responsibilities and the month(s) and year(s) for your education and for each job in your employment history. Online Questionnaire: YES - As part of the application process you will be prompted to complete an online questionnaire to demonstrate how you meet the qualifications. IMPORTANT: The online questionnaire cannot be saved and will time out after 60 minutes. You will need to complete the questionnaire and submit your application within 60 minutes or you will lose any information you have entered. If you require more time to prepare your responses, copy the questions and prepare your responses outside of the system and paste them into the online questionnaire when you are ready to apply. Further instructions are provided in the questionnaire and are also available on the Apply for a Position page on MyHR.